Drum Brakes were standard until the 1970s. As the their name implies they have drum like shape to them. They are affordable and the maintenance to fix them was very simple. But as cars became faster the drum brakes just couldn’t “keep up”. Disc Brakes are what are used today on most vehicles, although you can still find drum brakes at the rear. Some benefits of disc brakes are they have better stopping power and heat dissipation over the drum brakes. A good rule of thumb is to have your brakes inspected every 12,000 miles. 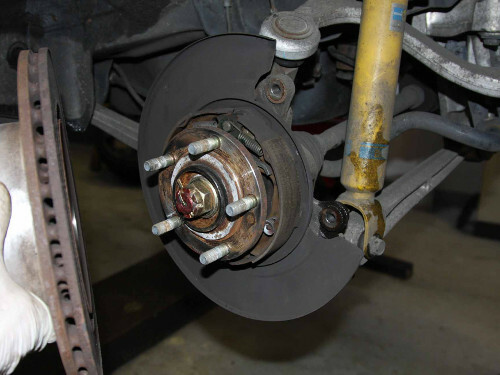 Have our ASE certified technicians do a complete diagnostic of your brake system. We will check and if needed replace your fluids, pads, drums, rotors and any hardware. Give us a call today if you hear grinding as you apply your brake. If your brakes feel “spongy”, again as you apply pressure. Also if it’s been a year since your brake system has been fully inspected.